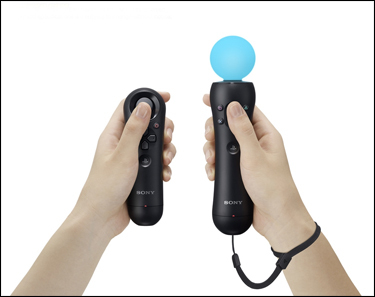 On Sonys Press conference, they revealed their motion sensitive control, PlayStation Move. The coulorful disco ball on the top, is what PlayStation Eye tracks and together with the built in gyro, it should know a good position of your hand. - The ball can change colour, to be able to keep track of multiple controls. - The two controls are wireless, and communicate thru bluetooth. - 7 + 9 buttons, and a joystick. Yay! Yet another remote control to have lying around the place.